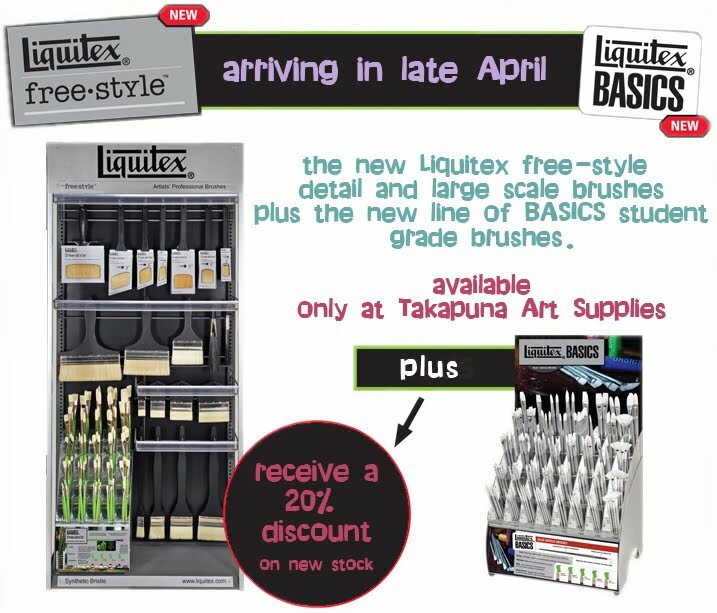 Arriving late April, the full line of Liquitex Professional Free-Style Brushes and the full line of new BASICS brushes. Takapuna Art Supplies will be the only art store in New Zealand carrying these two ranges. And, we will continue to stock the most extensive range of brushes available to New Zealand artists.